We are manufacturing and supplying wide range of Non Ferrous Bushing. These Non Ferrous Bushing are comprehensively used in various industrial applications owing to their salient features. 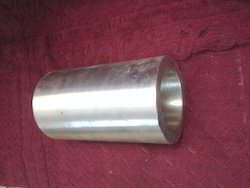 Our client can avail these Non Ferrous Bushing at very reasonable price. In addition to this, we check the entire range of products on certain well-defined parameters to gauge its defect-free nature. These Non Ferrous Bushes are designed in compliance with the international quality standards, by our team of highly talented professionals. Looking for Non Ferrous Bushing ?